Solid hardwood spa deck with plumbing chase below. 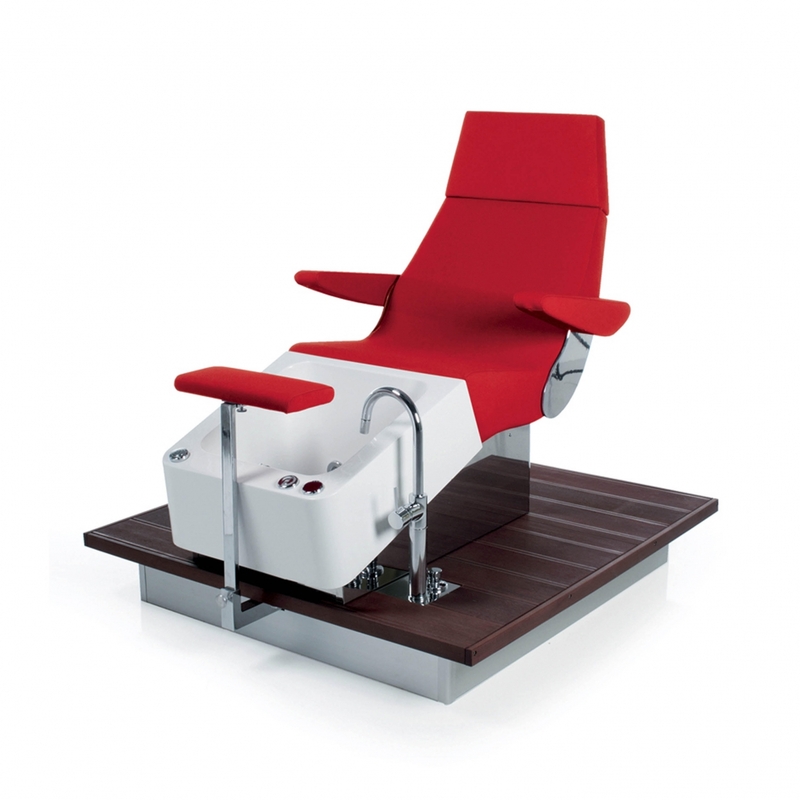 - To be used as an island or mounted together in a lounge orientation. 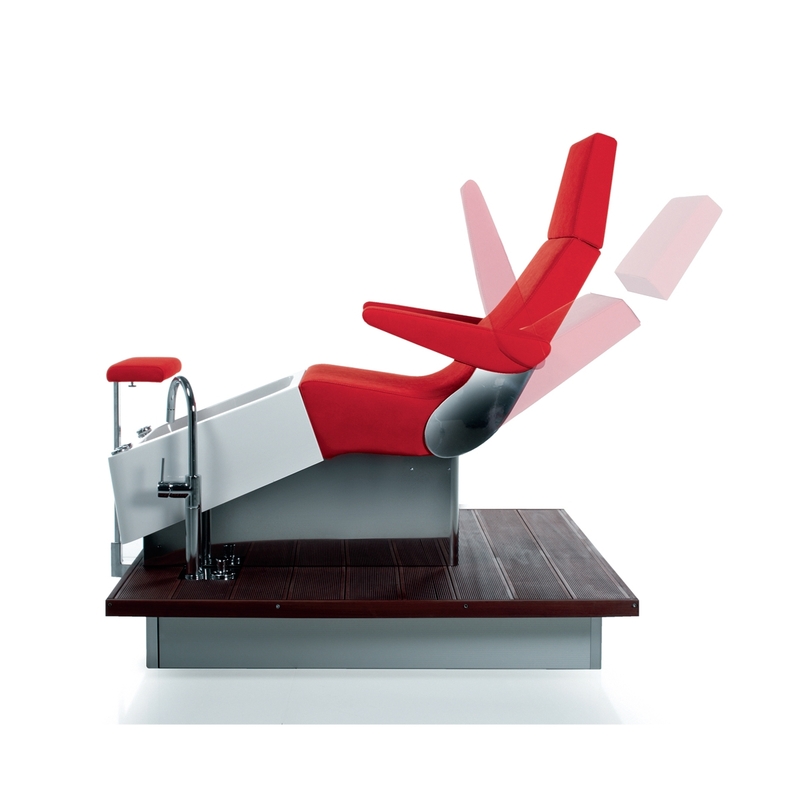 - Reclining back with removable headrest. - Pivot arms to enter/exit. 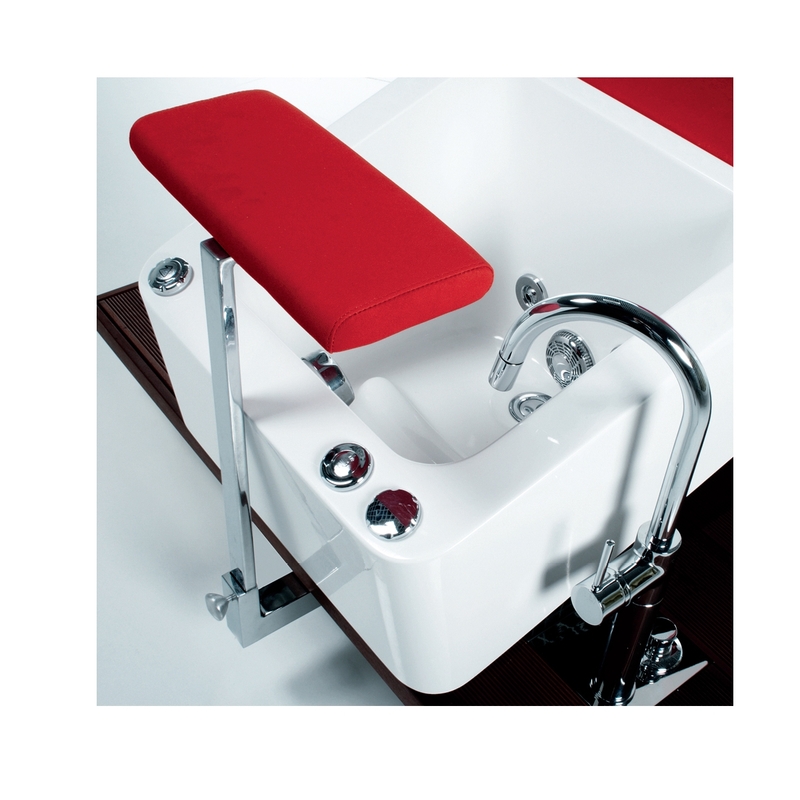 - Deck mounted faucet with retractable hose CE/CSA approved. - Upholstery in vinyl 34 color options. - Integrated tube. - Fully adjustable/removable footrest. - 4 rotary or directional air jets. - Optional sink mounted faucet. - On/off switch. - Air regulator low to max. - Detergent/disinfectant port. - Internal flush valve (patent pending). 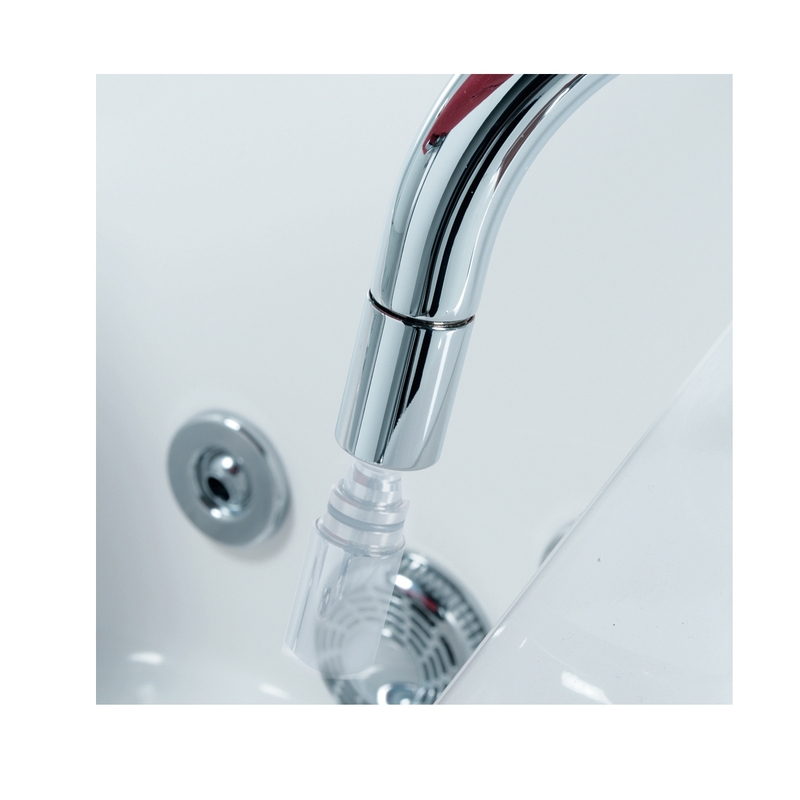 - Pre assembled patented seamless air and water tube system. Technical Data: ¾ HP 110v UL approved - Deck dimension cm. 118 W x 130 L (46½" x 51").